Not Available in Arizona, Alaska, California & Hawaii. The Variegated Pink Eureka Lemon Tree is less vigorous than the typical Eureka Lemon variety but the tradeoff for less production means a less acidic, delicious fruit that can be eaten right off the tree! The flavor is strangely unique; it is lemony with the right touch of fruity flavor! 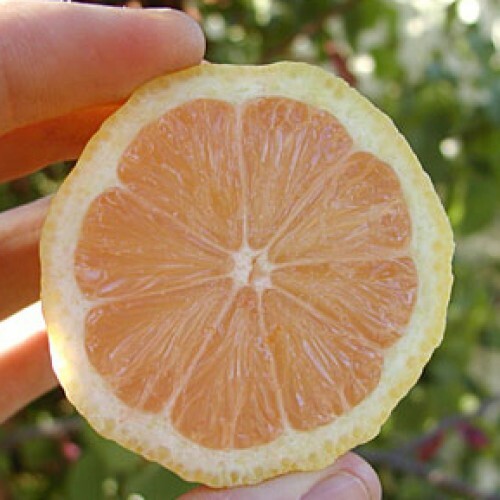 The fruit is colored pink due to lycopene, which is also what gives pink grapefruit its color. This marvel came about due to a mutation of the Eureka Lemon some years ago and is, to this day, the only pink lemon tree in existence. 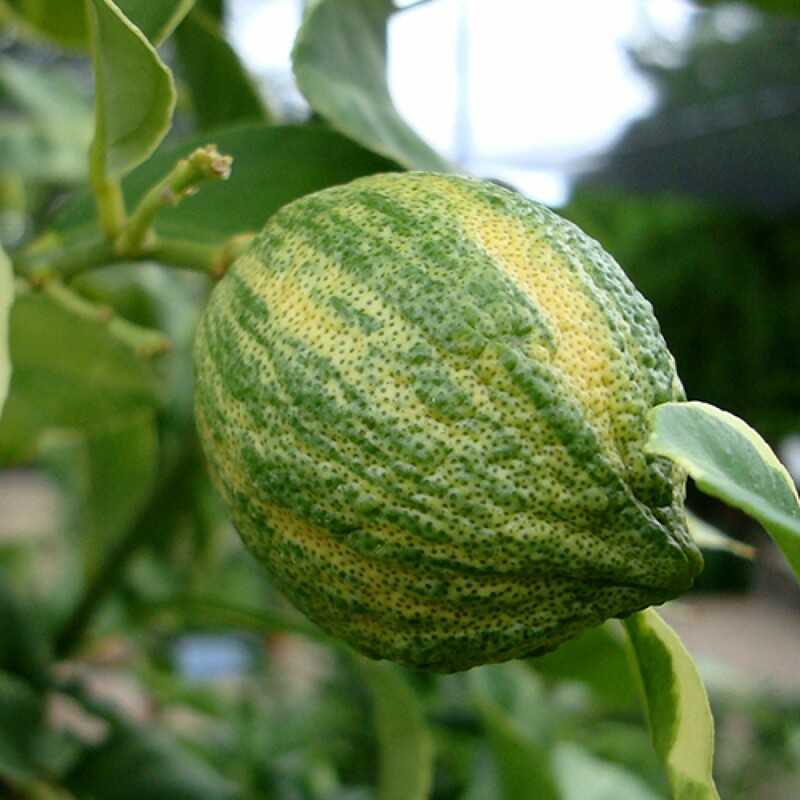 The Pink Eureka Lemon is cold hardy in USDA Growing Zones 9-11. It can be kept as a container-grown tree in all other growing zones if it is brought indoors for the winter.